The oldest member of the small population of endangered Puget Sound orcas has been missing for months and is now likely dead, bringing the toll of dead or missing whales to seven in 2016, researchers reported. FRIDAY HARBOR — The oldest member of the small population of endangered Puget Sound orcas has been missing for months and is now likely dead, bringing the toll of dead or missing whales to seven in 2016, researchers reported. 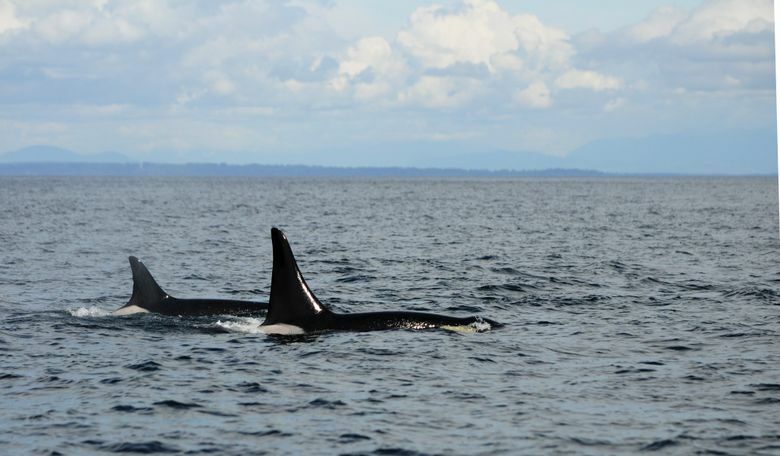 J2, known as Granny, had been spotted thousands of times over 40 years of orca surveys but has not been seen since October, according to the Center for Whale Research on San Juan Island, a nonprofit group that keeps the federal government’s annual census of the whales. “With regret we now consider her deceased,” researcher Ken Balcomb wrote in a post on the center’s website Saturday. She was typically seen at the head of the J pod, one of three family groups of whales that travel with their mothers or grandmothers. Other members of her family have been photographed and counted. Individual southern-resident killer whales that spend time in the inland waters of Washington state are identified by unique black and white markings or variations in their fin shapes. Each whale is given a number and a name. A 1987 published study estimated that J2 was born in 1911, putting her age at 105. There is a 12-year margin of error so she could be older or younger, Howard Garrett of the Orca Network said in an email. Despite a birth boom in 2015 that saw eight orca babies born, the intensely tracked population of southern resident killer whales is down to 78 as of Dec. 31, the center said. Despite a decade of research, protection and recovery efforts, the orcas continue to struggle primarily due to a lack of food, pollution and disturbances by marine vessels. They were listed as endangered in 2005. There were more than 140 animals decades ago. That number declined to a low of 71 in the 1970s when dozens of the mammals were captured to be displayed at marine parks and aquariums across the country. The numbers have fluctuated in recent years. At least five J pod orcas died in 2016. Last month, an 18-year-old killer whale was found dead off the coast of British Columbia and suffered blunt-force trauma to the head, possibly from being hit by a boat.